exposure at 0522 UT using a Miranda 35mm camera body. 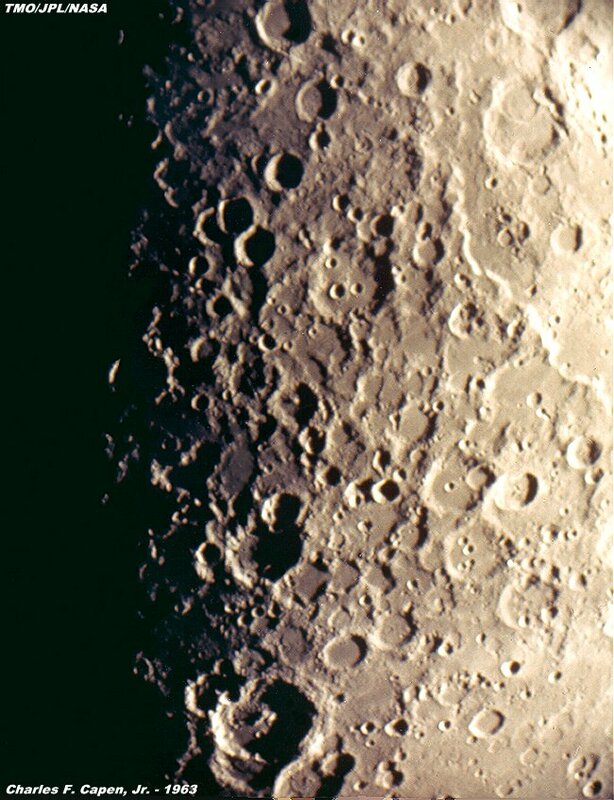 just to the right center is the great lunar rings, Sacrobosco, with walls that exceed 12000 feet high. diameter. At the bottom of the picture is the large crater, Maurolycus, some 115 miles in diameter.